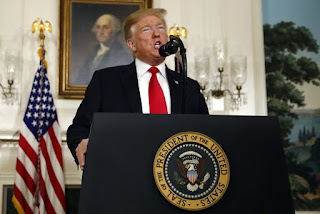 FDL Review sees President Donald Trump’s proposal on border security, with several capitulations to the Democrats, as a good-faith offer. In the interest of alleviating the annoyances of the partial governmental shutdown, it should be passed by the House and Senate immediately. Taken alone, the president's request for $5.7 billion for the construction of border barriers should be widely agreeable. There are open swaths of the U.S.-Mexico border that present a legitimate public safety hazard, and a decade ago, Democrats understood this. However, interest in public safety has been sidelined by the Democrats in their never-ending crusade against the Trump administration, which came to fruition after they nominated a beleaguered, wildly corrupt, and stale candidate who ignored the Midwest. Hence the president’s main “sweetener,” three years of protection for DACA recipients, along with a potpourri of other proposals that should be amicable for the left. If the House and Senate Democrats were to approve the president’s plan, it would be a bipartisan success — each team gives a little in order to achieve a broader end: the end to a paralyzing partial government shutdown that has lasted for nearly a month. On the other hand, if the Democrats follow through on their promise to block the proposal, they would be giving the president no choice but to declare a national emergency. Our analysis leads us to believe that the national emergency declaration would be rational. The military has $10 billion in available construction funds appropriated in the most recent budget, and $13 billion is extant from the years past. Current legislation gives the president the ability to tap the funds upon his declaration of an emergency, and there is enough money available that a $5.7 billion expenditure wouldn’t present a major grievance. And if it comes to it, the American people, seeing that the president made a good-faith offer that was ignored by the other side, may back an emergency declaration. By then, it would be obvious that the credo of the Democrats is political gamesmanship. For Speaker Nancy Pelosi (D-California) and her caucus, the question of illegal immigration is a chip utilized to inflame tensions. For the president, a businessman-at-heart who follows through on his commitments despite seemingly indomitable headwinds, immigration is an issue worth solving, not just a token utilized when convenient. The Democrats can avoid the crystallization of this reality, or more simply, the emergency declaration, by signing onto the president’s proposal. Better yet, they would end the partial government shutdown and allow 800,000 Americans to return to work — with pay — on Monday morning.